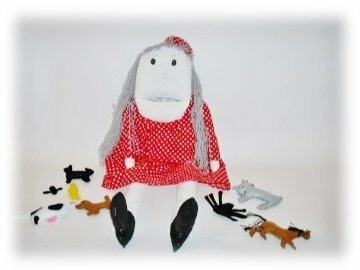 Pattern includes pattern pieces to create the doll and the animals she swallows. Also includes a copy of the story. Her mouth and stomach are large enough to fit all of the animals she swallows in the story so your children can play along while you read!